High Quality Content by WIKIPEDIA articles! In India, the National Highways are the primary long-distance roadways. Most are maintained by the Government of India, others are operated under a public-private partnership by the private sector. Most are two-lane (one in each direction). They span about 67,000 km (42,000 mi), of which about 200 km (120 mi) are designated expressways and 10,000 km (6,200 mi) have four lanes or more. Indian highways constitute approximately 2% of the total road network of India, but carry nearly 40% of the total traffic. 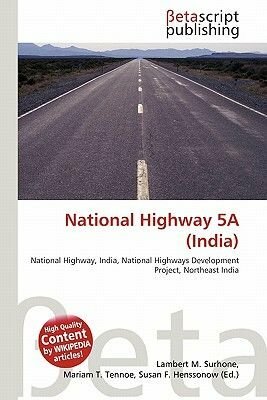 The National Highways Development Project, currently being implemented, seeks to massively expand India's highway network.